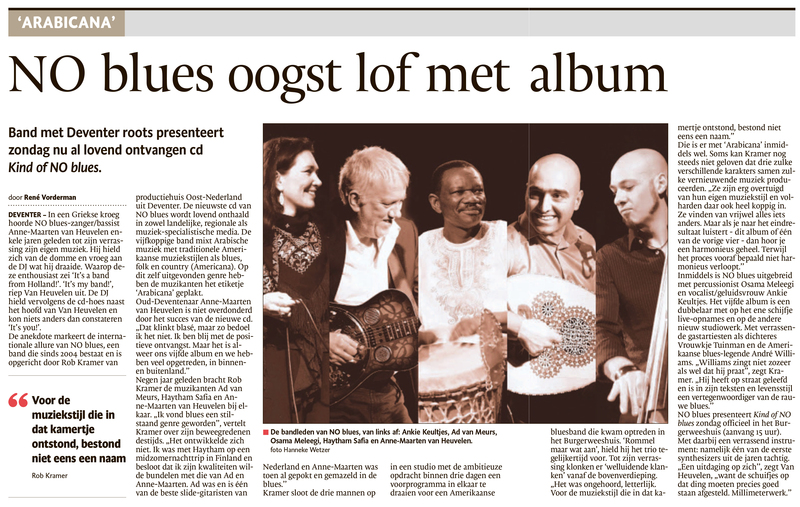 Great article today in regional newspaper De Stentor! This Sunday we will present our new album in Burgerweeshuis in Deventer, the Netherlands. Especially for this matinee concert poets and guest musicians like Vrouwkje Tuinman, Bill Barrett and Quinetique Quartet will join us. In addition to the songs from the new album they will also play some own work. It’s going to be a very special concert, we hope to see you there! Info and tickets are available here.